Whether you just need some help pulling all the details together or you are looking for someone to take your initial ideas and turn them into your perfect wedding weekend from rehearsal dinner to farewell brunch, we can help!! If you have a pretty good handle on the vision for your day but just need some help with execution we would love to step in and bring your plans to fruition for you! Here is where the real passion in our business lies! We will be with you from start to finish and get to spend some real time digging deep and dreaming up everything from the perfect locale for your day, to the wording on your invitation suite, down to the linens on the tables where you dine with your guests. 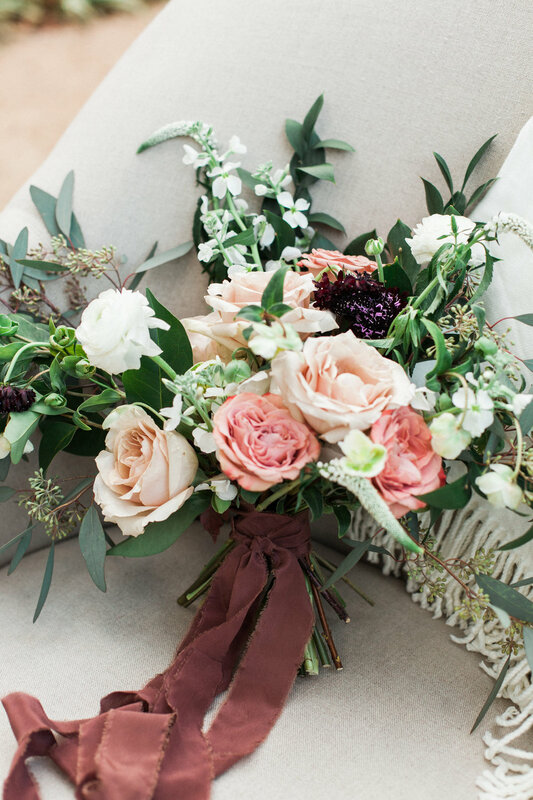 Using seasonal blooms, lots of local greenery, pretty vessels and flowing silk ribbon are some of our favorite ways to ground a wedding in an aesthetic! The Floral Design Package can stand alone or be combined with either of our planning packages.